Happy World Oceans Day! Artist Boat, the Houston Zoo, and the Downtown Aquarium all have registered World Ocean Day events. Attending one of these events is a great way to show your support for our oceans. So is being more intentional about your use of plastic products (the photo above is from Texans for Clean Water). Halfway through each year (and again at the end of the year), we like asking our readers to tell us what they might put on a top-ten list of the most important things impacting the environment in the Houston region this year. Help us compile the list by making a suggestion (or more) on this online form. We’ll be sharing the results! Annually, CEC hosts a networking and learning event for the extraordinary people who work at or are interested in the work of environmental organizations in the greater Housto n region. In 2017, CEC will be hosting the Greater Houston Environmental Summit on Friday, August 4, 2017, from 8:30 am to 3:00 pm at the Community Resource Center at the United Way of Greater Houston. In addition to excellent keynote presentations and panels, we will again offer small-format table talks. We will feature a panel in conjunction with EarthShare of Texas, which is celebrating its 25th anniversary this year. We are partnering with a variety of environmental education collaboratives to offer an Environmental Education Expo for teachers and informal educators. If you are interested in exhibiting at the EE Expo, please contact [email protected] We’re taking suggestions & proposals for the table talks, so if you have an issue you’d like to learn about or share with the environmental community, drop us a line at [email protected]. The next screening by the Houston Green Film Series will be on Wednesday, June 21, 2017, at the Rice Media Center. Stay tuned to hear about the film! Learn more on the Houston Green Film Series’ Facebook page. Impact Investing is coming front and center as one of the most powerful and impactful forces to address the world’s greatest challenges —including climate change and water scarcity—while also generating a financial return. We are pleased to have Kevin Pasha of Morgan Stanley – Impact & Sustainable Investments (Sillicon Valley & Houston) to discuss the huge potential that lies in Impact Investing as well as Founder and Managing Director of Climate Impact Capital Alex Rozenfeld. If you’ve registered in time, please join Houstainable at Suriya India 700 Durham Dr. tonight, June 7, 2017, 6:00 PM to discuss the massive potential of Impact Investing and how funds can be put into the hands of Impact Enterprises and Entrepreneurs. Learn more about Houstainable on their Facebook page. World Oceans Day (June 8th) is the United Nations-recognized day of ocean celebration and action. Artist Boat, a Galveston-based non-profit, is hosting the second annual World Oceans Day Festival to commemorate the day. Join us at Stewart Beach from 4:00-7:00 pm on Thursday, June 8, 2017, and be a part of the celebration. Marine Debris Art Contest submissions will be on display during the Festival. The World Oceans Day Festival is free for the public, but Stewart Beach parking fees will apply. For more information on the World Oceans Day Festival or the Marine Debris Art Contest call (409) 770-0722 or email [email protected]. Learn more at artistboat.org. Join Keep Houston Beautiful and Friends for light bites, drinks, and networking on June 8, 2017, from 5:00 pm to 8:00 pm at The Kirby Ice House at 3333 Eastside Dr. For $50, you can become a member of Keep Houston Beautiful, receive two drink tickets, a t-shirt, and complimentary access to other KHB events. Free to KHB members. Must be 23+. Learn more and register at houstonbeautiful.org. June 8, 2017. This is a once in a 20 year opportunity to ensure that the National Forests and Grasslands in Texas are managed to protect endangered species (Red-cockaded Woodpecker), streams and rivers (San Jacinto River, Neches River), rare plants (orchids), rare ecosystems (blackland prairies and Longleaf Pine Woodlands), recreation of all types (birding, hiking, biking, camping, horseback riding, etc. ), lakes and ponds (Lakes Conroe, Toledo Bend, and Sam Rayburn), provide protection to ecosystems from climate change (adaptation and specific management), reduce oil/gas drilling and or its impacts, provide for less logging, less motorized recreation, etc. Without citizen input there will be lots of environmentally impacting activities and little for citizens who own these forests to be proud of and protect. We all need to steward our federal public lands particularly in the time of Trump and this is one way we can do this. Rob Potts with the NFGT Supervisor’s Office (Natural Resources and Planning Team Leader) will make the presentation. The event is free and open to the public at St. Stephen’s Episcopal Church, 1805 W Alabama, in Pecore Hall. Main Program starts at 7:30 PM (doors open for an informal social period starting at 7:00 PM). Learn more at sierraclub.org/texas/houston. Join Hermann Park Conservancy’s Urban Green as event chairs Mary Stewart Anderson, Cotton Clark, Chelsea Fred and McKenzie Hull transform Hermann Park’s Historic Clubhouse into a Cuban-themed oasis! Cuba Libres, mojitos, and classic cars are on-deck for this fun-filled evening. Enjoy your summer at Havana Nights from 7:00 PM to 10:00 PM tomorrow night, June 8, 2017. For tickets, visit their Event Site. Looking for a way to get back to nature and get your hands dirty? Volunteer for The Nature Conservancy! They are hosting volunteer workdays the second Friday of every month at the Texas City Prairie Preserve, a 2,300-acre hidden gem south of Houston, in Texas City. Volunteers of every background and ability level are eagerly welcome. Workdays will include a variety of activities, from removing invasive species and harvesting native seeds to planting marsh grasses and tending the butterfly garden. It’s all fun – and all a big help! Come out on Friday, June 9, 2017, from 8:30 to 11:30 am. For more information, visit www.nature.org. In 1914 with the opening of the Houston Ship Channel and the modern Port of Houston, the section of Buffalo Bayou from the port’s turning basin to the foot of Main Street (now known as Allen’s Landing) was called the upper channel. Join bayou guide Andrew Groocock on a historical tour of the upper channel of Buffalo Bayou focusing on the historic significance of this industrial stretch and Houston, as you cruise the approximately seven miles from the old port of Houston to the new port of Houston. Take a ride Saturday, June 10, 2017, from 10:00 am to 12:00 pm or contact Trudi Smith by email or phone at 713-752-0314 ext.103. Solarize Houston is a grassroots, volunteer, non-profit group organizing Houstonians in a group purchase of solar panels and installation for residents and businesses in Houston. Solarize Houston’s mission is to increase awareness and accelerate use of solar energy for electricity generation in Houston. If you would like to help bring more clean solar energy to Houston or would like a discount on a solar system on a structure please send an email to [email protected] to enroll or come to their workshops. The next workshop is on Saturday, June 10, 2017, 10:30 AM at Green Building Resource Center at 1002 Washington Ave. For more information, check out https://www.solarize-houston.org/. Join the Sierra Club’s group of beginners and backpacking veterans for an Overnight Backpack Adventure at Lake Houston Wilderness Park, encompassing 4,786 acres of wooded parkland, approximately 45 minutes north of Downtown Houston off of Highway 59 near the town of New Caney. Activities will include hiking, building campfires, and camping from June 10-11, 2017. For the complete list of details and necessities, please visit their meetup page. On Sunday, June 11, 2017, come join in on the conversation at First Unitarian Universalist Church, 5200 Fannin St. to learn more about new developments in climate science and share the ups and downs of being climate activists. The meeting includes the church’s Climate Action Team, which focuses on how the church community can be part of the solution. Visit HCPA’s website for more details at http://www.houstonclimateprotection.org/. The Houston Urban Gardeners would like to invite you to their monthly meeting to learn more about growing your own local produce in your community. Some past presentation topics have included: Getting Started/How to build home garden beds, How to Grow Veggies with More Ease and Joy, All About Saving seeds, Vermiposting, How to cook vegetables, Ways to Preserve Food, Fruit Trees and Orchards, and more. The next meeting is at 6:30 PM, Monday, June 12, 2017, at the MultiService Center 1475 W. Gray. The 2017 TWCA Mid-Year Conference will be held June 14-16, 2017 at the Moody Gardens Hotel in Galveston, Texas. As in previous years, they will offer Public Funds Investment Act training on Wednesday and have speaker sessions on Thursday afternoon and Friday morning. There will also be panel and committee meetings and a Board of Directors meeting, in addition to multiple networking opportunities throughout the program including the 11th Annual Jim Adams Memorial Golf Tournament on Wednesday afternoon, a Membership and Services Committee reception on Wednesday evening, and a Conference Reception with hors d’oeuvres Thursday evening. The Membership and Services Committee is planning a beach cleanup service project on Wednesday from 9:30am to Noon at Galveston Island State Park. To RSVP, please visit https://www.twca.org. For 41 years, Volunteer Houston has been the city’s sole referral service connecting volunteers to a broad spectrum of diverse nonprofit organizations. Volunteer with The Woods Project to help prepare for their summer program. The Woods Project runs weekend trips at different sites near Houston and a 2-week summer trip at national parks around the country. On Wednesday, June 14, 2017, from 4:00 to 8:00 PM they will be taking all of the camping equipment, organizing it into backpack groups, and then stuffing it into 26 gear bags that will be shipped across the country so their students can use the camping equipment during their summer trips. Learn more and sign up at http://www.volunteerhou.org/event. The ToolBank lends tools (hammers, shovels, saws, etc.) and items (tents, tables, chairs, safety gear, etc.) to nonprofits, community groups and corporate volunteers for charitable projects. Access to ToolBank tools eliminates the need for agencies and groups to incur the expense of purchasing, renting, repairing, insuring and storing tools, therefore reducing the costs associated with service projects and allowing these organizations to focus more of their resources on their mission. Come take a warehouse tour and see what the organization is all about on Thursday, June 15, 2017, from 9:00 to 10:00 AM at 1215 Gazin St.
For 18 years, the American Lung Association has analyzed data from official air quality monitors to compile the “State of the Air” report. The more you learn about the air you breathe, the more you can protect your health and take steps to make our air cleaner and healthier. While fewer people now live where the air quality hit unhealthy levels, four in ten people live where air is unhealthy. This year, Houston-The Woodlands is #12 on the list of most polluted cities for Ozone (with a higher number of more high-ozone days than the previous year) and #16 for year-round particulate pollution. We aren’t on the top 25 most polluted list for short-term particle pollution. Dig deeper at stateoftheair.org, or read the press release about Texas. If you want to see on-the-ground elements of air quality in the Houston region, consider joining EarthShare of Texas (in celebration of their 25th anniversary), Air Alliance Houston, Houston Advanced Research Center, and Public Citizen on June 9, 2017, for an eye-opening tour of the Houston Ship Channel, which ffeds our economy. Hear from the Executive Director of Air Alliance Houston – Dr. Bakeyah Nelson, the Community Outreach Manager for Public Citizen – Ms. Stephanie Thomas, and the Program Director of Air Quality Science for Houston Advanced Research Center – Dr. Jay Olaguer. Each of these individuals are experts in their fields, and this will be a fabulous opportunity to hear their stories. Learn more and purchase tickets at earthshare-texas.org. The Houston-Galveston Area Council’s (H-GAC) Clean Rivers Program is one of the most comprehensive and cost-effective water quality monitoring programs in Texas. These waterways lead to one of the most productive estuaries in the United States, generating billions of dollars yearly through commercial fishing, oyster harvesting, recreation, and tourism, as well as provide irrigation for agriculture and contribute to 80% of our drinking water in our region. They have recently released a short Basin Highlights Report which assessed three vital elements of our waterways quality: dissolved oxygen levels, nutrient levels, and bacterial levels. Monitoring results show that across the four basins monitored H-GAC program, dissolved oxygen levels are decreasing, nutrient levels are increasing, and bacteria levels persist. To read up on the full report, please visit http://www.h-gac.com/community/water/rivers/. In addition to the very informative Basin Highlights Report, H-GAC coordinates programs and projects that improve mobility and safety for pedestrians and bicyclists throughout the region. Come join their meeting on Thursday, June 15, 2017 from 9:30 to 10:30 AM at their offices, 3555 Timmons Lane and help their vision of making Houston more bicycle-friendly and efficient! Learn more about the meeting here. Daylight Hour is an annual social media campaign organized by the Building Energy Exchange to raise awareness about using natural daylight in lieu of electric lighting in offices. Launched in 2014, this simple and engaging campaign asks participating offices to turn off their lights in day-lit spaces for one hour on the Friday before the summer solstice. Leading up to and during this hour, offices around the world share their involvement on social media, engaging their communities and showcasing their environmental commitment. It’s free to participate and is as easy as flipping a switch just for one hour from 11:00 am to noon on Friday, June 16, 2017. Register as an individual or a group and learn more about the impact of one hour at http://be-exchange.org. School’s out, and METRO wants to give you FREE RIDES to where the fun is – ALL SUMMER LONG! The new METRO Student Summer of Fun Pass offers K-12 students the opportunity to travel anywhere METRO goes…any time…any day…FREE. Learn more and sign up at ridemetro.org. H-GAC’s 2016 Mobility Report summarizes key economic and transportation performance measures that reflect our progress toward achieving a safe, reliable, multimodal transportation network. As in previous years, performance statistics have been shown for each of the state goals in the 2040 Regional Transportation Plan. These goals include the reduction of congestion and vehicle crashes, asset management and operations, support for regional economic development opportunities, potential impact on the environment, and a determination that projects did not disproportionately and adversely impact minority or low-income communities. Some trends found in this report include travel on the roadway system increased 2% to an estimated 183 million miles per day and corresponds with growth in the region’s population of more than 141,000 people and 16,000 jobs in 2016, in addition to increases in vehicle crashes, incident responses, bus-on time performance, and airport passengers. All in all, the Houston-Galveston region depends on a safe, efficient and reliable transportation system to maintain its economic success and overall quality of life. For additional transportation performance measures, visit the full report at http://www.h-gac.com/taq/regional-mobility-report/ or get your own copy of the publication here. Happy Anniversary to EarthShare of Texas! Bats, Birds, and Barbecue- A dinner discussion of wildlife and habitat conservation with a viewing of the awesome bat emergence at Bracken Bat Cave. July 29, 2017 – Bracken Cave, San Antonio. On the Ground Floor of Ground Water: A breakfast discussion divining the future of our most precious resource. July date tbd Redbud Center. The Hot Topic of Climate Change- Greater Houston Environmental Summit Aug 4, 2017 – United Way of Greater Houston–In conjunction with the CEC! This Land is your Land: Exploring the terrain of land conservation; Red Bud Center, October 17, 2017. And the grand finale picnic with food, games music and more! The whole family is welcome! See the efforts being made to save the last of the Southern Plains Bison. Discover how Inks Lake State Park is making hunting accessible for the physically challenged. Meet the biologists who are keeping track of CWD. The Development Coordinator is responsible for assisting individual donors who support BCI at varying levels. The individual in this role will also oversee aspects of BCI’s workplace giving program, prospect research, and assist with the generation of individual giving appeals, including e-appeals and social media content development. The Development Coordinator will accurately track donor information and gifts received and assist in maintaining the donor database. S/he provides administrative support for the Chief Development Officer, including planning, logistics, scheduling and the development of materials for donor visits and events and follow up. Learn more at batcon.org. Through editing and online research, intern will assist Dr. Bob Randall in the updating, layout, and publication of his new edition of Year Round Vegetable and Fruit Gardening for Houston and Southeast Texas. The most recent 12th edition of the 300-page book has been in print since 2006 and is popular among serious food gardeners and farmers, but is out of date due to changes in organic horticulture, climate change, and many other factors. Dr. Randall is well along with the revisions with many innovations. Start Date: by semester, Summer 2017 June to August; and/or Fall 2017 September to December. Compensation: Volunteer Internship. Intern will learn about the role that horticultural information plays in creating functioning food systems to encourage healthy communities. Intern will gain understanding of the functions, goals, and workings of the non-profit sector, including hands-on interaction with a major leader in the development of the non-profit food sustainability sector in the Houston area. 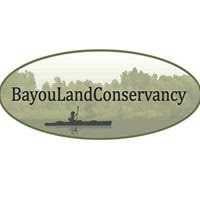 Bayou Land Conservancy seeks a college level Marketing major for a summer marketing internship. Projects will include, but are not limited to, assisting with our August Wild and Scenic Film Festival, writing/producing newsletter, development of marketing brochure, assisting with social media platforms (Instagram, Facebook, LinkedIn, Twitter) and other projects as directed. Intern will have the opportunity to learn more about working in the environmental NGO field. Start date: As soon as possible upon completion of current semester. Hours are flexible, with a 10/hr. week minimum. Internship length is flexible. This is not a paid internship. For more information and to apply, visit www.bayoulandconservancy.org/job-postings. Under the direct supervision of the park director, the forester professionally plans, implements and maintains aspects of Jones Park’s natural forested areas, fruit, historic and memorial trees, landscaping and tree nursery. 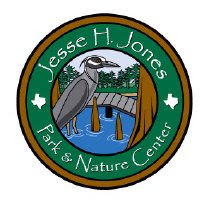 The forester also team plans and implements Jones Park’s environmental and natural history programs. This position requires a self-motivated individual with a “can do attitude,” willing to work indoors or outdoors in all weather conditions, not afraid to get their hands dirty, and capable of conducting a variety of tasks in the course of a normal day. Required knowledge includes tree identification, diseases and treatment, and skilled with forestry equipment and tree felling techniques. Desired experience includes a four-year B.S. degree in forestry or related curriculum and a minimum of one year of forestry experience. Schedule is 40 hours per week and includes one to two weekends per month. The online application is available at www.hcp4.net/Employment. Please submit applications to Darlene Conley Hostetler at [email protected]. For more information about Jones Park, visit their website. The Katy Prairie Conservancy seeks a Stewardship Manager to assist with monitoring and management of KPC’s conservation easement and preserve portfolio. KPC seeks an individual with knowledge of tallgrass prairie/wetland ecology as well as the natural/agricultural working landscape. Monitoring activities may include the preparation of monitoring reports, maps, and background information for new properties for acquisition and protection, as well as identification of property management and maintenance issues to be addressed. This individual will also create GIS maps and maintain the organization’s GIS database on conservation properties. KPC seeks someone who is familiar with the local prairie wetland system and knowledgeable about the restoration practices of the region, local invasive plant species, and methods for controlling them. This individual will also oversee and organize volunteer programs that help maintain and improve KPC’s lands. This is a full-time position that reports directly to the Conservation Director. http://www.katyprairie.org/job-opportunities/. Primary duty is to interpret habitats, ecosystems, science, and the environment through the disciplines of science and art for people of all ages while engaging in Eco-Art experiences with Artist Boat. Educator must be able to clearly and enthusiastically use the arts and sciences as the primary discipline to convey knowledge and engage participants in outdoor education, service learning, and in-class workshops or residencies. For more information, visit www.artistboat.org. The Senior Manager oversees daily operations for facility services provided to schools, administration buildings, stadiums, and support facilities throughout the district. Responsible for all aspects of Energy and Utility management, sustainability, and DDC Monitoring & Scheduling. This senior manager will be on-call 24 hours a day, 7 days a week. Learn more about the program at http://www.houstonisd.org. For more information, visit www.applitrack.com/houstonisd/. 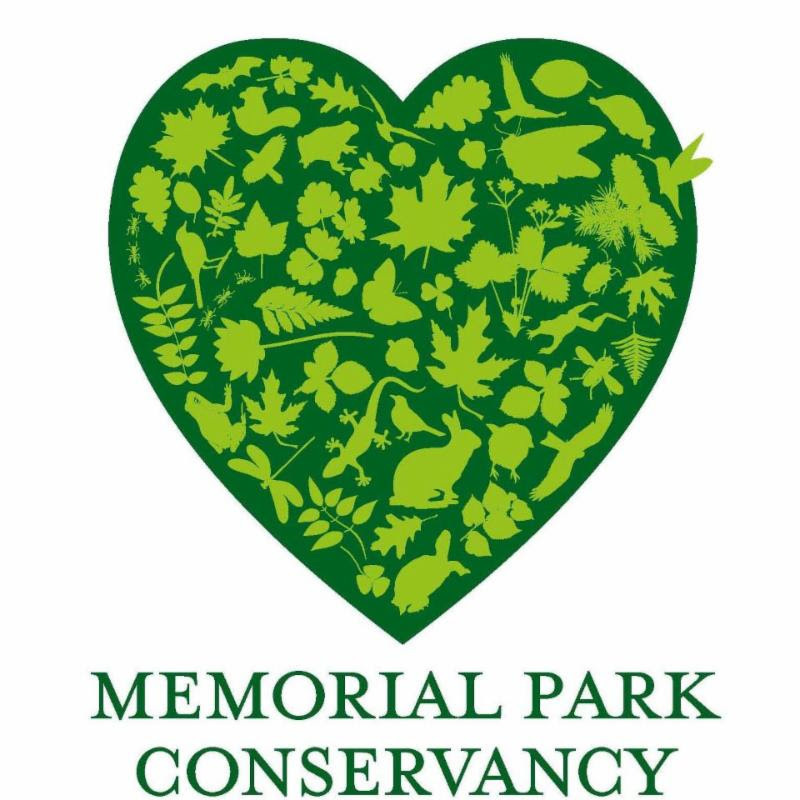 The Conservation Supervisor is responsible for overseeing Memorial Park ecological restoration efforts at the direction of the Conservation Manager. The Conservation Supervisor will guide and assist in the conversion, installation, and year-round operations & maintenance of the Park’s ecological restoration areas, including: upland forests; riparian forests; savannah; wet prairie/savannah; wetlands/ponds; native prairie. The Conservation Supervisor will work collaboratively with conservation crew and operators, field staff, contractors, interns, and volunteers. Responsible for overseeing Memorial Park GIS and Field Data collection efforts at the direction of Conservation Manager. Responsible for data management and integrity. Work with Conservation Supervisor, Landscape Supervisor, Capital Project Manager, consultants, contractors, interns, and volunteers. For more information and to apply, visit www.conservationjobboard.com.